Now that Dylan seems to be coming up to 4months I seem to be hearing the word ‘weaning’ rather more than I would like to be hearing it. I don’t know what the eagerness is to get food into babies so soon when it’s not a necessity? Why go through the hassle and that extra cost when it can be delayed for at least a couple more months. I guess this time around when it comes to putting something into Dylan’s mouth; I feel it my department and that something as important as weaning and introducing him to food for the first time will be when both he and I are ready. It’s like anything in parenting; only the parent knows best. In the case of this case, mummy knows best. 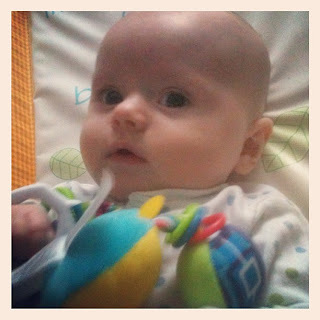 The first time around with Oli, we weaned at four months. I don’t know if the fact he was formula fed made a difference and that because this time around I’m breastfeeding Dylan to why I’m weaning them both at different times. Oli to me felt ready to start receiving some food; I didn’t see any harm with doing it at the time. I remember getting a warning from the health visitor that I had started him too early; I didn’t listen. 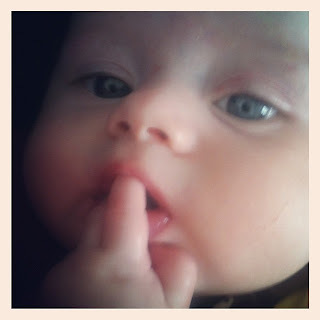 My child’s eating habits were none of her business, if we wanted to start our weaning journey, then that was up to us. Dylan doesn’t seem ready; he shows no interest in it, and all his hunger needs are being satisfied by my milk. All his nutrients are being provided by me thanks to our exclusive breastfeeding. I’m not going to let myself be bullied or guilted into something I don’t see it necessary at the moment. I will stand my ground, and if needs are I’ll pull out the guidelines from the world health organisation on how exclusive breastfeeding is recommended up to 6 months of age and then continued alongside food up to the age of 2 or beyond. The answer to my question is quite simple; the right time is simply when it’s the right time for you and baby. See simple.